With my express weddings I offer a very personal service. I can organised your Cyprus wedding in a number of days. Advise on all the correct documentation needed and make sure its all correct before you get here. You can arrive knowing its all taken care of and just enjoy your stay. Its all part of the service. Collecting my couples from their hotels, taking them to and from the town hall for both wedding application and wedding ceremony. it can all be done in 1 day. No need to stay for more than a couple of nights. Being part of the wedding; acting as a witness and throwing confetti too. I celebrate each and every couple, nothing gives me more pleasure than to see Happy Bride and Grooms. Even helping my brides put on their wedding dresses. What ever you need; its all part of booking a personal wedding planner to assist and make your Elopement as stress free as possible. Hassle free too! You will be in good hands with Stella Virdi. 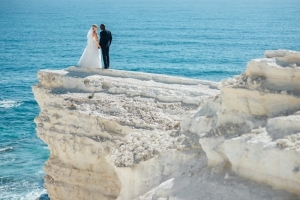 Looking for the perfect place to marry in Cyprus. Located near Paphos Castle and harbour. 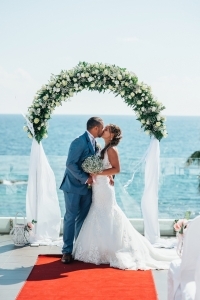 Somewhere with gorgeous views and the Mediterranean blue sea as your back drop. At venues that are unique and only cater to one wedding per day, YOURS. Be-spoke weddings by Stella Virdi perfecting every minute detail of your day. No packages, just let us know what you want and your wedding will be tailor made to fit your budget and specific requirements for your dream wedding day. 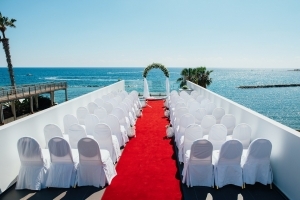 Thus allowing you to relax and enjoy your wedding day in the knowledge that all is being taken care of. 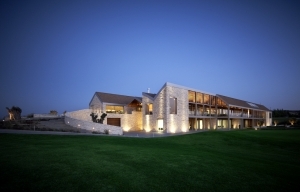 Contact Stella at virdia@cytanet.com.cy for more information on this glorious venue. We are back in the UK and wishing we were back in Paphos. Our wedding and time spent there was amazing. 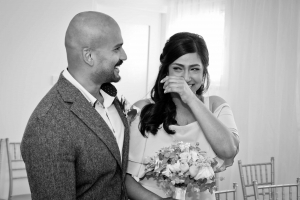 You were a tower of strength from the moment we met and I cannot thank you enough for your support and expertise as my wedding planner. I felt completely relaxed and was asked on many occasions if I was nervous. I can honestly say that with you at the helm things couldn’t of run smoother. Finding me the right church, reception venue, hotels for our guest, caterers, florist, entertainment, car hire, pre and post wedding events. In fact everything was incredibly well thought out and worked magically on the day. The decoration of the wedding venue was perfect;; I would not have changed one thing. Your choice of suppliers was impeccable and our day was made to feel so special as a result of your choices. I would argue if there was a better wedding planner in Paphos. You handled everything with such class and grace. So on behalf of myself and husband along with all our guest would like to thank you for giving us one of the most memorable days of our lives. “Stella Virdi has all the contacts you will need. 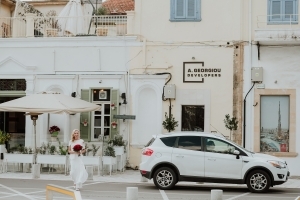 Okay, I’m sure there are other Wedding Planners, all of whom would do an adequate job for you, but would you have as much fun in Cyprus as you will with Stella. Stella thought we were quirky but only because we could relax with Stella and have a laugh with her.